Starpoint Gemini Warlords, the space strategy-slash-RPG from LGM Games, just got a major update. Dubbed “update 2.0”, it completely reworks the diplomacy system, letting you interact with AI entities in new and exciting ways. If you’ve already played the game, you might want to take it for another spin – the developers claim it’s a vastly different experience. If you haven’t had the chance but it sounds like you might like it, be sure to check out Serge’s impressions. 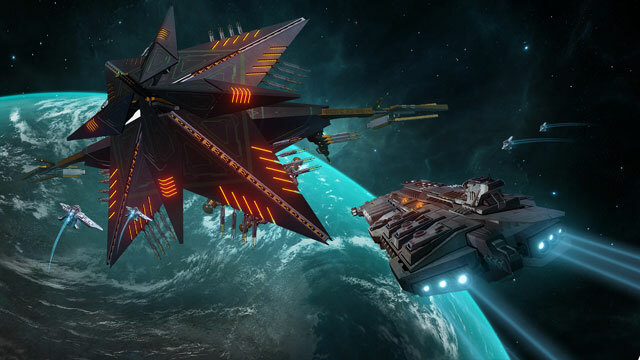 Starpoint Gemini Warlords is a great game on its own, although players always wanted to have more abilities and more options when it comes to diplomacy with other factions. That is why we wanted to do a complete diplomacy overhaul for the game, from the ground up. Of course, this isn’t something that happens overnight. Diplomacy overhaul was a long process. We had to break things apart, put a lot of updates and fixes in the middle, and put them back together in order to make everything work as intended. We have a large part of current players who adore the game, and on the other hand, new players who get stuck early on in Starpoint Gemini Warlords. Current players already know how to approach the game, and what to do. But we wanted to change how the game fundamentally feels for the new players. There is a lot of new hints and guides which tell you where to go now, what this and that mean on the user interface, what are these icons on the Starchart, what to do next, etc. The game now feels a lot user-friendly, in a way you can simply pick it up and play.